When traveling the world, especially as a parent you often have to adapt and go without some of the luxuries we are afforded at home. I’ve learned in many occasions this includes a high chair at a restaurant. When Jordyn and Kennedy were newborns to about 4 months holding them in my arms or in the carrier while eating was easy. However once they became active trying to eat while holding them, especially something that required two hands, like a sandwich, became an Olympic Sport. 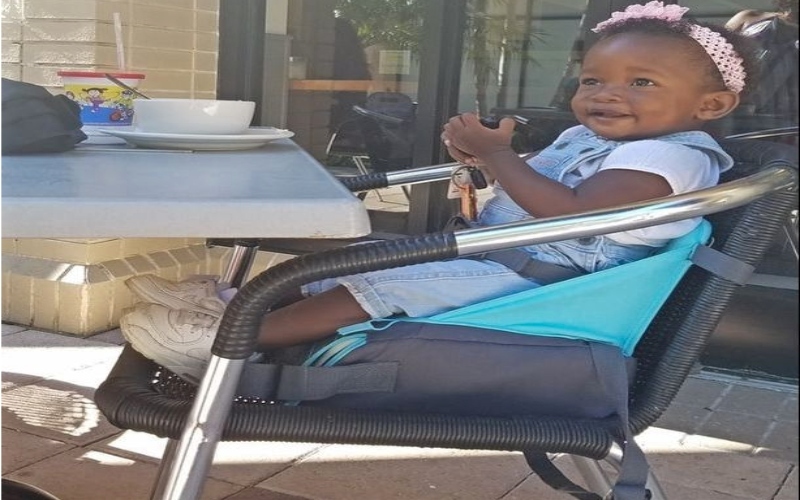 While I absolutely love my cloth travel high chair, My Little Seat, now that Kennedy is a little older and can feed herself finger food I want her to be able to reach the table in her chair. The BRICA Travel Booster Seat is perfect for once your little one hits 12 months. When traveling with the girls the last thing I want to do is lug around more crap. 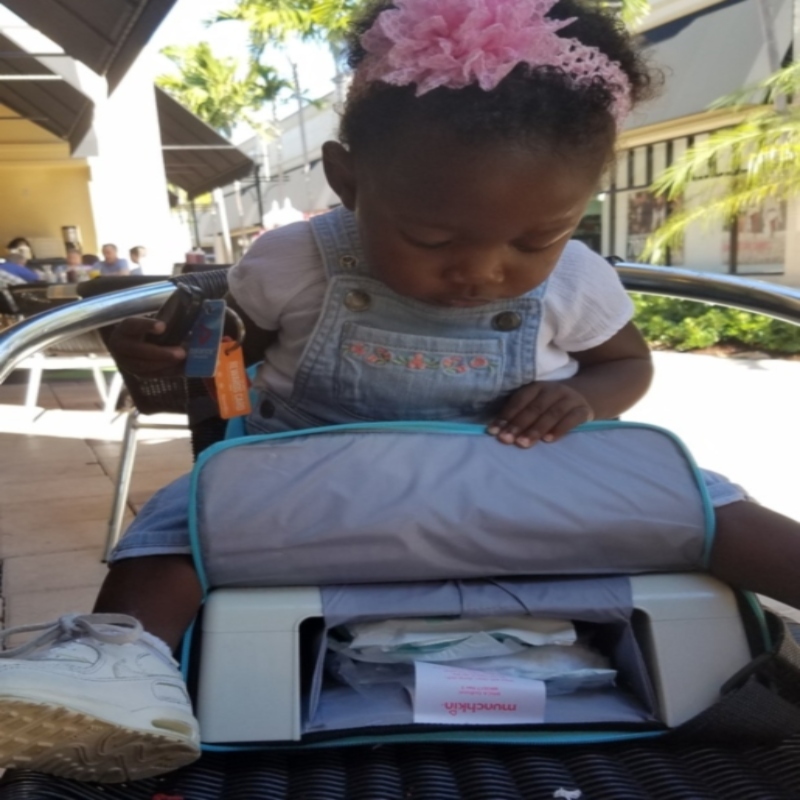 I love that the Munchkin BRICA GoBoost Travel Booster Seat doubles as a diaper bag. It has a compartment that can hold diapers, wipes, bottles, and/or a change of clothes. How does it work? You just buckle the straps around the back of the chair and the under the seat of the chair. It can be used for children from 12 months-3yrs old. Your child can see the table, join in on the conversation, and feed themselves. The ability to store diapers, wipes, snacks, etc. right in the seat is amazing. It’s a hard bottom so the seat doesn’t sink in and lose its’ boost like some others I’ve tried. 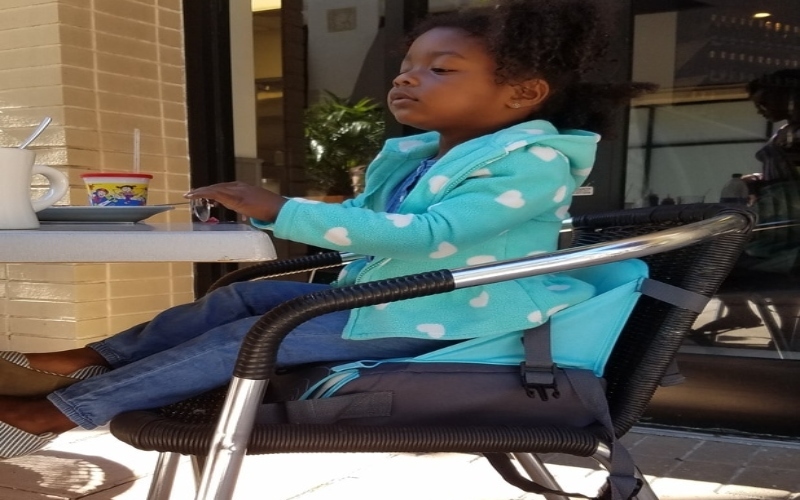 An affordable option for a secondary high chair for grandma’s house or to use at home like we do as Jordyn has outgrown her standard high chair! It has a strap so you can easily carry it. Fits most chairs with a back. You can’t just throw it in the washing machine due to the booster. It only has the waist strap instead of a 5 point harness and even at 12 months some kids are too wiggly and need that extra support. Due to the booster it is bulky making it more difficult to travel the world with as it will take up a bit of space in your luggage or backpack. We use it a lot when dining at restaurants, visiting friends and family and on road trips but we don’t bring it when flying due to it’s size. Thank you for checking out my review and I am so glad you found it helpful!! Thanks for your interest in winning the GoBoost. Did you enter the contest on our last Instagram post http://www.instagram.com/thetravelingchild? That’s how you can win and the contest ends tonight at 9PM EST. Good luck! !